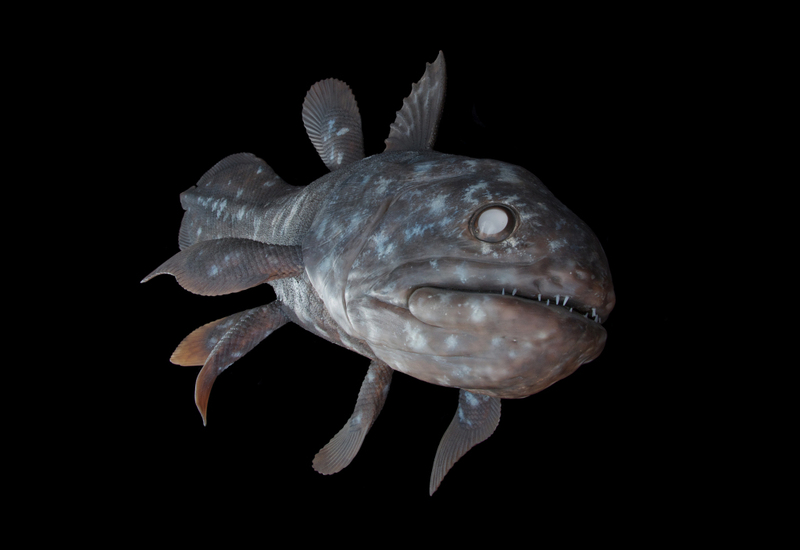 This steely blue coelacanth is sorrounded by great mystery. 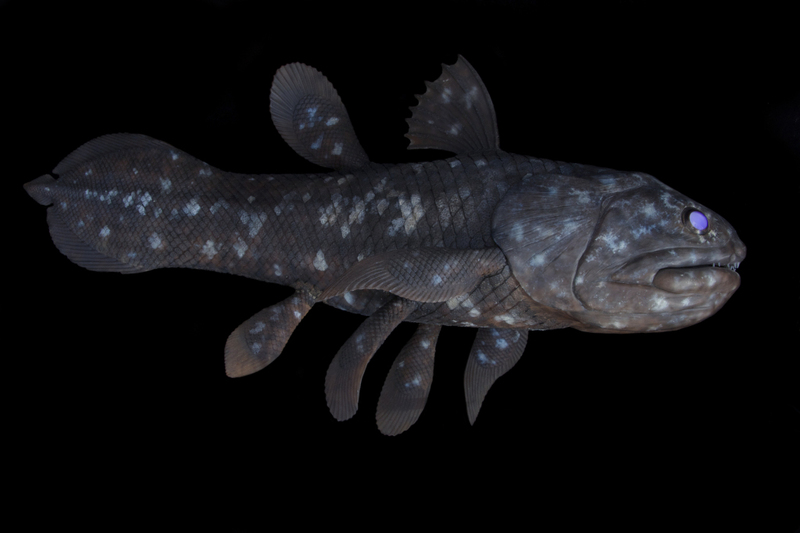 Known as the "living fossil", the coelacanth is a rare order of vertebrates more closely related to lungfish, reptiles and mammals than to the common ray-finned fishes. Its average weight is 80 kg, and they can reach up to 2 m in length. They are estimated to live for 60 years or more. The Blue Fish is a nocturnal hunter, sheltering within caves throughout the day and foraging at night on squid and other fish species. 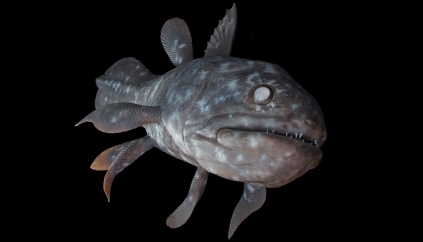 Only two species are present in this order, and both are Coelacanths are large and plump, as well as red-listed by the IUCN. The two species species were thought to have become extinct in the Late Cretaceous, around 66 million years ago, but were rediscovered in 1938 off the coast of South Africa. The genome of Latimeria chalumnae was sequenced in 2013 to provide insight into tetrapod evolution.